A flagship in Google’s offering, Google Adwords is a pay per click advertising service that offers targeted advertising for text and banner ads on the Google search engine. Google Adwords targets local, national and international audiences and is tailored to your specifications including demographics and location. Your advertisements show on Google.com as well as partner networks and responds to user searches and keywords that are typed into the search bar. Cheap Website Designs works to create Google Adwords campaigns that help businesses to reach growth targets and business goals by increasing enquiries, sales leads and generating more clicks. If you want to get results with online advertising but only want to pay per click, Google Adwords a brilliant option that will provide the performance you need for your business without the high advertising costs. 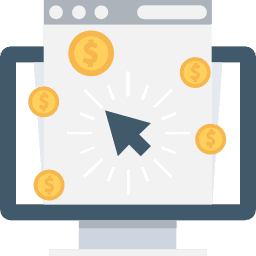 Cheap Website Designs offers a pay per click and remarketing service that is designed to optimise the success of your Google Adwords campaign. We offer a holistic management service and focus on the impressions, clicks and conversions of your Google ads. Our remarketing management works to capture your audience’s attention and target the users who are ripe for conversion. 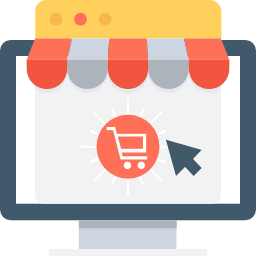 Attract visitors to your website and drive traffic and sales with shopping data feeds and marketplace advertisements that optimise and automate your advertising. Our expert team of advertising specialist digital marketing gurus can work with your business to create an advertising campaign that meets your business needs and targets your customer via shopping feeds and marketplace ads. If you need some help crafting the perfect wording for your ads, Cheap Website Designs can provide ad copywriting services to ensure your content converts and gets the interest of your audience. We understand the value of a catchy headline, your description, display URL and the maximum length for your content and can craft ads for your Google Adwords campaigns that get noticed online. Target your audience and have the power to choose who sees your ads with Google Adwords audience targeting. Our team can create a targeted list for your perfect demographic allowing you to tailor your advertising campaign and ensure your marketing spend is only reaching those who are worth it.